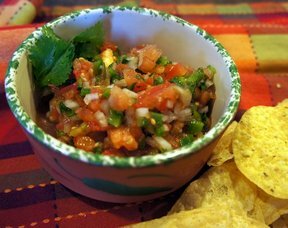 Fresh salsa with a little heat from the addition of jalapenos. 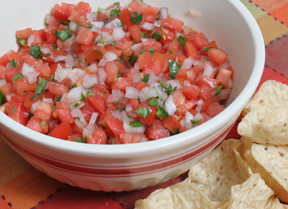 Perfect served with quesadillas and tacos; or just for dipping with tortilla chips. Prepare all the ingredient and mix all together in a medium size bowl. 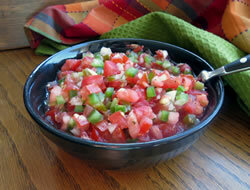 For best flavor, let salsa soak for 1 hour before serving. 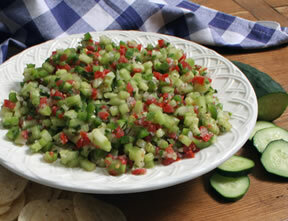 "I made this to go with the Chicken Quesadillas but my kids ate most of it with chips. They must have liked it because it was all gone."